“Welcome Home!” Oh how my family LOVES to hear those words when we go to Disney and I want to share that excitement with as many as I can! I grew up in a very musical and creative family of five. We were all Walt Disney lovers from watching, The Wonderful World of Disney, each week as a family on TV to great family vacations and memories made at Disney World in Florida. Since, I have traveled all around the world and we always go back to Disney. Personally, I have been to all the Florida Disney parks over 20+ times (since 1972) and have been on two Disney Dream cruises. We have stayed at many of the resorts from All Star Music to the new Grand Floridian Vacation Club Villas this past April. Disney is our annual family vacation! I am constantly asked to help family and friends plan their trips so now I want to help you! Being a mom of two, I know a few tricks to save money, time and energy for families. Booking a Disney trip, whether it be to a Disney park, Disney Cruise Line, Aulani (our newest Hawaiian resort) or Adventures by Disney (24 country experiences! ), can be overwhelming and it is a great deal of work. That’s where I come in to help with lodging, tickets, air travel/transportation, MagicBands, dining reservations, FastPasses, special events, and so much more! I am here to take that stress from you and at no extra charge. It is what I LOVE to do and I would love to help you make great memories, too! So give me a call at your earliest convenience! Make sure to put DAWN in the agent request box! I was preparing a holiday of a lifetime for my son and I in the summer of 2018. We had set our sights on Disney World and Universal Studios in Orlando. After doing some research, i was overwhelmed at the amount of work that i had to do to plan the perfect holiday. This is when a friend referred me to the wonder Dawn Wolff! Im so glad i got in touch with her. From the moment we started communicating i knew this holiday would be a huge success. Dawn did EVERYTHING for us from booking the Disney World & Universal stay to booking cars from airports and between parks, there was nothing that Dawn didnt organise for us. We got beautiful booklets, we got lovely little mementos. Dawn went the extra mile to make our holiday a dream come true and i am so happy to say that not only will i be booking with Dawn again, she has also become a friend even though we have never met, but we talk regularly. It was truly a spectacular holiday. I do remember one day, i was quite stressed with the jet lag and fast passes at Disney and Dawn just took over and handled everything. Even changed confirmed character dinners to another time during our stay. It was like she knew what was in my head. The company is Called Magical Vacations for a reason, its because they have people like Dawn who are truly magical creations. I cant thank her enough for our trip and i cant wait to plan the next one. (when i say plan - when Dawn plans hahah). Thanks for a fabulous holiday you guys, i will never forget it. 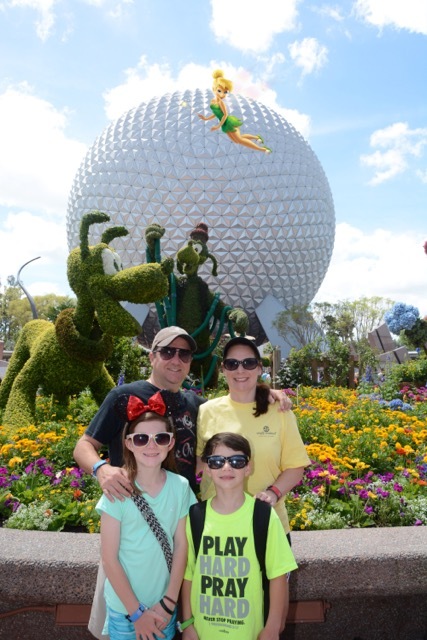 Dawn W, We wanted to thank you again for all the help in planning our 50th anniversary celebration at Disney World with our family. You truly went above and beyond. Your suggestions of where to eat and what rides to get fast passes for was greatly appreciated. The French Quarter is the perfect place to stay and we would highly recommend it. The fact that there is only one bus stop is fantastic. The computer screen with up to date information on when each bus would arrive was very accurate. The French Quarter even had special balloons and gift inside our room for our anniversary. We enjoyed the room being close to the pool, dining hall, and boat transportation to Disney Springs. We went to the front desk to add an extra night and it was taking a bit too long, I called you and you had it taken care of in a matter of minutes. Thanks again. It truly was a magical vacation. My experience with Magical Vacation was superb. Dawn really went above and beyond with her services, especially considering the fact that we are in different time zones. She was very professional and put in the effort to find answers for all of my questions. Planning a Disney trip with children can take lots of work, especially since most of us are busy with our everyday lives. The surprise Minnie Box that she sent made our trip a little more magical, especially for the kids. Her excellent service was more friendly and personal than business. I look forward to planning my future Disney vacations with her. Dawn W.
Dawn Wolff, planned our family's Christmas of 2017 at Disney. This included my children and spouses, grandchildren and my Dad who was celebrating his 93 year old Birthday. It was absolutely MAGICAL and the best thing we have ever done as a family. Down Wolff went far beyond our expectations in planning everything to be perfect for all 11 of us from the accomodations, to the tickets, park hoppers, fast passes, dinning, and even ordered motorized carts for three of us. It seemed as if all of the Disney characters and employees knew that it was Dad's 93 Birthday, and they made him feel so very special. It brought such a smile to his face so many times and to ours. He still talks about it to this day and how the Disney staff treated him, a perfect stranger, so very special. Having a Magical Agent is the only way to go and for us this was our second time using Dawn and we will always use her plus highly recommend her. All of the times that we have been to Disney we went on our own and never realized the things we were missing by not using a Magical Agent. Even though we had to change some of our times because of scheduling on our part, Dawn was always gracious and got it done for us where we did everything we wanted to do plus much, much more. Thanks for the best vacation ever. So glad we have Dawn our Magical Agent because she sure did magic for us. Dawn planned our Christmas at Disney vacation for us and it could not have been anymore perfect! She took care of every reservation and every little details we would not have thought of. We also celebrated my Grandfather turning 93. He can NOT stop talking about how perfect everything was. It’s was our least stressful Disney trip we have ever planned because of her. We will definitely use Dawn for every Disney vacation. Thanks!!! Dawn has been completely amazing. We unfortunately had to cancel due to this hurricane and she was so uplifting and helpful during the stressful time. I will definitely be planning our dream Disney vacation in the future! Dawn W. helped my son and I make memories that will last a lifetime! 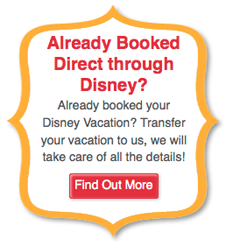 This is the fourth time we have used Dawn to help us plan our magical Disney vacation. Dawn provides personal service as she asks questions about our interests, finds the latest and greatest deals, and provides information on new events and attractions for us to enjoy throughout our stay. 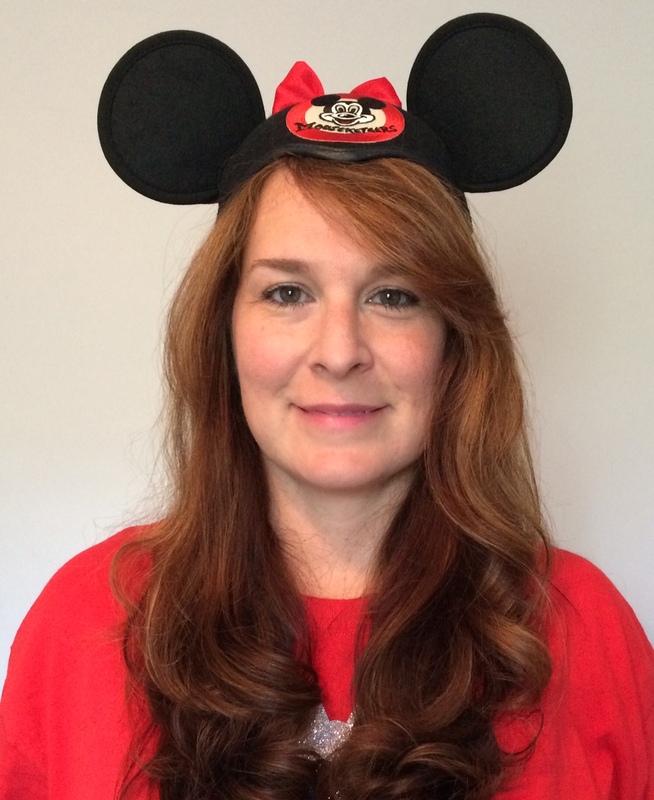 Having been to Disney World many times herself, Dawn knows the ins and outs of Disney planning, and is extremely knowledgable about appropriate activities for each age group. My son is 11 years old this year, and he continues to LOVE going to Disney World. This year, he particularly loved the Indiana Jones show at Hollywood Studios, and the Star Wars show that night. Thank you, once again, Dawn W, for our wonderful mother-son vacation plan!!! Dawn did a fantastic job planning our Disney Vacation. She worked very well with scheduling in things I thought were a must do and adding some of her own. My sister and I were impressed with how well thought out our days were. We never felt like we were rushed as we went from fast passes to dining reservations to shows. I would recommend this service to anyone! Dawn is truly an expert when it comes to all things Disney!! I would like to send a heart felt appreciation to you for helping to make my dreams of going to Disney world come true. Thank you for your help and always answering my questions. I had the most amazing, best, awesome and great time. I spoke to some people I met at Disney world about my travel agent and how much she did for me and they said I got the best agent ever cause most Disney travel agent don't help that much. For the Minnie box you sent over I loved it, it made it feel like my birthday. I was too happy. I have told a lot of families that I am close to so they can plan vacations for heir children so I will be in contact with you so as to help with their vacations so we will still see more of each other. I have a goal of doing a Disney vacation every 2nd year it could be a cruise or going back to the world. Thank you and I know you were for sure God sent. Dear Dawn, Thank you so much for helping our guests make this crazy trip as easy as possible! We were exhausted trying to explain everything to our guests, se we can’t imagine what we would have done with out you. Also, thank yo so much for helping us plan our honeymoon. You always go above and beyond to help us have a great Disney experience! Thank you Dawn W. Can't tell you enough how grateful and thankful Bob and I are for your help. planning our awesome vacation to Disney with 2 of our 3 grandchildren. The little guy staying home is William and he just turn 1. I hope that in about 7 years you are still working for Disney Vacations. We will certainly be looking for you. Hi Dawn – Had a wonderful time at Disney, thanks to your expert planning. I wanted to send you a photo of the 4 of us (Wally, Andie, Bean and Boo) as you had requested. Got your card in the mail and will recommend you here to anyone who asks about going there in the future. Thanks so much again, Bob S.